My hair has always been prone to a slew of issues, including dryness, shedding, breakage, and tangling. To rectify this, I made a commitment to start taking better care of my hair through more consistent wash days. Cleansing my hair is the most difficult part of my hair regimen because most shampoos (especially inexpensive ones) tangle and sometimes mat my hair. During one traumatic experience, I even had to cut my hair because it got so badly tangled post-wash. Since then, I usually start wash day by pre-pooing (a pre-shampoo treatment to soften my hair) and detangling my hair before I shampoo. However, most shampoos cause my hair to revert to its dry, tangled state, bringing me back to square one. 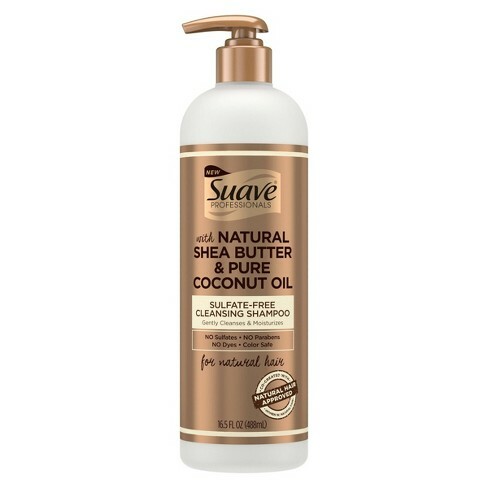 So, when I heard about Suave Professionals’ new line of products that moisturize while leaving your hair tangle-free (from start to finish), I was instantly intrigued. Don’t get me wrong: there are already many affordable products out there that work for natural hair—something I noticed when I first started my natural hair journey back in 2013. 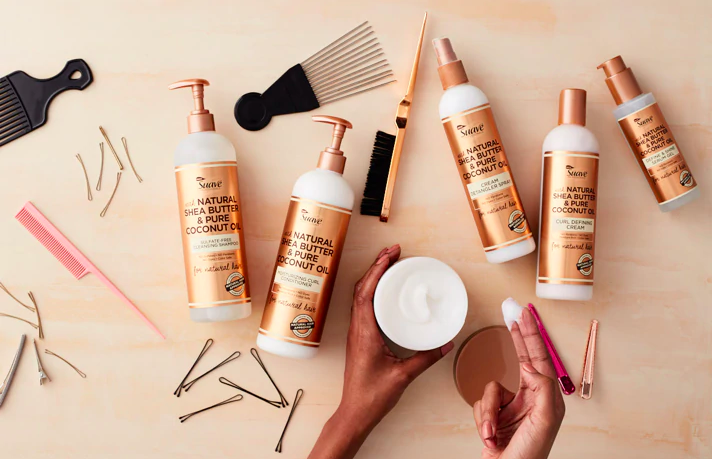 But with more women of color embracing their natural hair, it’s good to see mainstream beauty brands show support by creating product lines geared toward our needs. 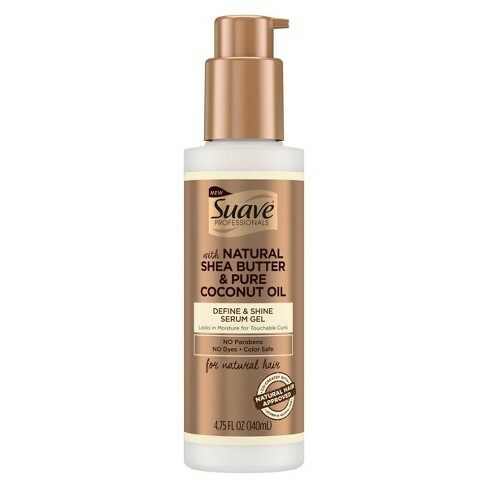 Suave Professionals’ newest hair care collection consists of six products that cater to naturally curly and coily hair. 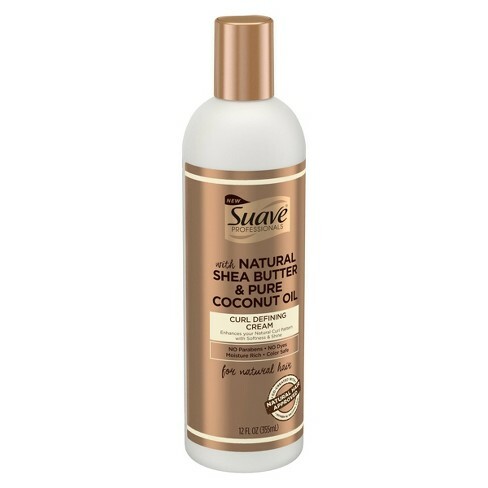 Each product in the Suave Professionals Shea Butter and Pure Coconut Oil hair collection is enriched with natural ingredients to promote moisture, which is super important to managing natural hair. I’m not particularly picky when it comes to the more controversial ingredients in hair products, such as sulfates, parabens, and dyes, but it’s nice to know that an affordable line of products went the extra mile to omit these ingredients for those who are. Also, the light fragrance in the products smells divine. One thing that I’ve learned about my hair over the years is to listen to what it tells me. In other words, I only give my hair what it needs. For instance, I schedule a wash day every Sunday or Monday, but if my hair (or scalp) needs to be washed before then, I’ll make sure to do that. I pay close attention to how my hair responds to products and don’t hesitate to use them in unconventional ways, like the leave-in conditioner that became one of my favorite hair moisturizers when I noticed how juicy and hydrated it left my hair. I cleansed both my scalp and hair with this shampoo, and my hair actually felt soft before conditioner. It’s safe to say that this one is gentle enough for tangle-prone hair. I also used this conditioner as I normally would. I was surprised to see that it absorbs quickly and has a lot of slip. My hair felt soft almost instantly. I didn’t need to use this because I detangle my hair in the shower while it’s soaking wet. However, this spray is hydrating and works well as a spritz to rehydrate my hair. I wear wigs as a protective style, so my hair is usually in twists (or braids) under them. After conditioning like normal, I use this leave-in cream as a moisturizer before twisting my hair. I usually apply oil on top to seal in the moisture. 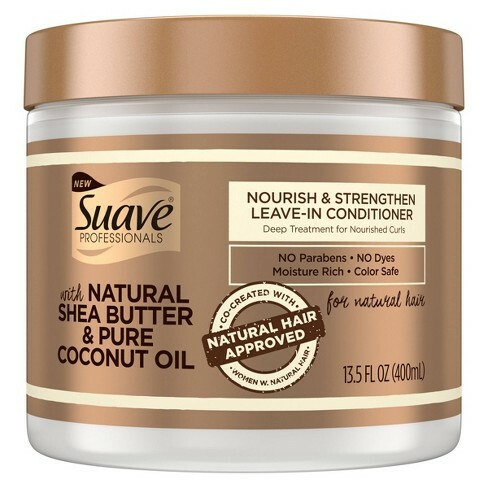 If I retwist my hair in the middle of the week (without washing), I use this as a moisturizer. My hair struggles to retain moisture, which results in little-to-no curl definition. Because of that, I wasn’t surprised that this cream couldn’t keep my curls defined for long. However, it is moisturizing and my hair felt more hydrated than it typically does after air-drying. To be totally honest, I’m still trying to figure out the best way to use this product in my hair. My hair is usually in protective style, so I don’t really need a gel to define my curls. However, I have used it to keep my twists frizz-free throughout the week. So far, so good. 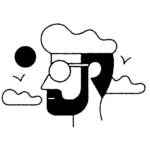 I was hoping this would help define my hair, but I know I need to work on regularly moisturizing my hair and figuring it out how to get it to retain the moisture. I’ve neglected my hair for so long, I don’t expect it to be fixed in just a month. Yes, these photos were really taken a month apart. The only thing I’ve done differently during this time is washed my hair weekly (versus bi-weekly) and opted for braids over twists. Over the weeks, detangling my hair has become a breeze. Usually, I detangle before and after I wash my hair, but as of my last wash day, I’ve been able to detangle just once after washing. The shampoo stops my hair from knotting up, which makes detangling before optional, and I’m so grateful for the savings in time and hair. 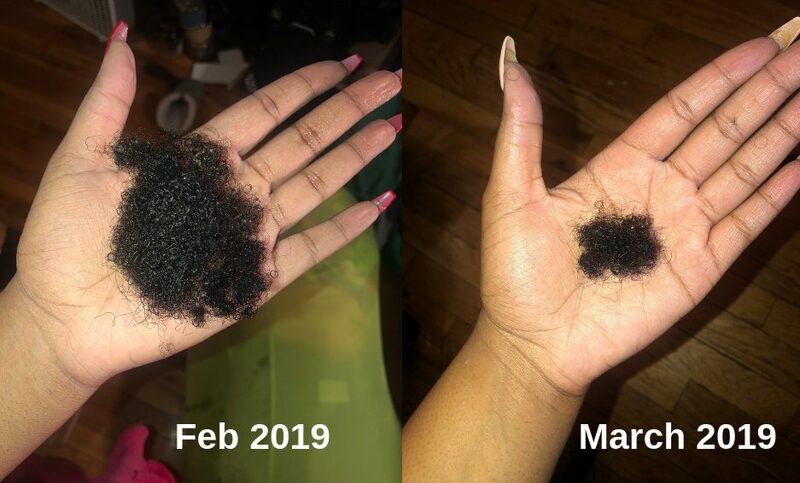 Just a couple of weeks ago, washing, conditioning, and detangling my hair took over an hour, and my hair still shed and broke off like crazy. I’ve gotten down to about 40 minutes, which is still time-consuming, but an obvious improvement. Tangling is the root of all my hair issues, including the shedding and breakage. I wash my hair in four sections and take my time detangling to minimize the amount of breakage. The amount of hair I’ve been retrieving from my detangling comb has decreased tremendously in just a month’s time. I didn’t see a drastic improvement in my curl definition, but my hair is much more manageable. Moving forward, I will use styling products that I find to be more hydrating, but I’ll continue using the Suave Professionals products for my wash days. 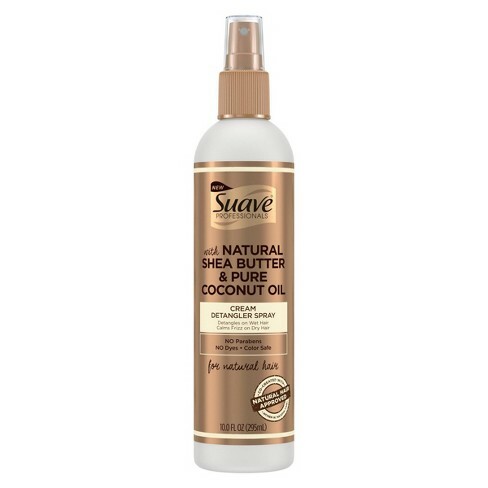 If you’re looking for affordable hair care to implement into your natural hair routine, this collection is a great starting point.